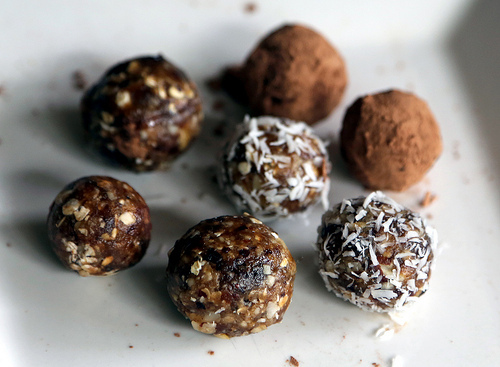 Make these sugar plums for a healthy Christmas treat! Place almonds, prunes, apricots and figs into a food processor and pulse until the mixture has become crumbly. Add remaining ingredients (except course sugar) and continue to pulse until ingredients are incorporated and roughly chopped, not pureed. Roll about 2 tablespoons of mixture into balls and roll into desired coating. Serve on a decorative platter!